In each case, the business owner has completely missed what social media is all about. The power of social media is hidden in broad daylight in its very name. “SOCIAL MEDIA” is all about a “media” for “social” interaction. Facebook, Twitter, LinkedIn, Pinterest, Instagram, YouTube and to a lesser degree, Yelp, Trip Advisor and Google + and the like, all provide platforms for users to interact, share and express common interests. A business owner who discourages or worse, prevents input or “posts” from users, is not using the power of the network and in many cases is telling users that the business is NOT socially connected or worse, adversarial to their networked users. Owners who view their social network presence as a great place to advertise, are also missing the boat. Social interaction is all about providing users with something they want to read. Something they will find interesting. Something that they will want to share with others. Very few advertisements fall into this category. Although we are not the most cutting edge company to use social networks, we are active and have found that they are a useful tool to keep in touch with our clientele, to get client feedback and yes… to generate business. At Crumbzz, we use several social media outlets. Besides our web page and blog, you can find us on Facebook, Twitter, Pinterest, Yelp, Trip Advisor, Google + and YouTube. Each provides a different outlet and allows us to generate a different message. We look at our web site as a place where we build our brand and image and where clients can place orders. If a client wants to know about our products, get an overview on who we are or place an order, our web site is the place to go. Our blog is designed to provide a drill down or “deep dive” into the heart and soul of our company. In-depth articles provide readers with an unusually thorough view of who we are and what we do. It is where we are truly able to build and present our brand. If a client wants to really get to know what makes us tick, they will will get it all on our blog. On Facebook we provide a weekly “Note From The Chef” on food buying hints, recipe’s and cooking tips. We sprinkle in monthly specials and bistro party events. If you want to join in with your enthusiasts and actually have a real ongoing relationship, Facebook is where we make that happen. If our blog is a “deep dive”, Twitter is for shallow waters. It’s for our short, off-the-cuff comments on things we think our followers will find interesting. Quick thoughts, witty musings, help us build our brand and reinforce our corporate personality. One of the things we are intently focused on is our presentation. From cakes to bistro dishes, we are intent on providing our enthusiasts with a complete experience. What better place to do that then on Pinterest. We must confess that our bistro guests are the ones who got us on Pinterest by taking pictures of our dishes at our european bistro. We now make sure we have picts of every dish we create, every cake we offer, for all to view. For all those “visual” potential guests who need to see it first, Pinterest is where we give them a great look at our many creations. We are always being interviewed by the media for our history, worldwide searches for the finest ingredients, environmental causes, historic downtown activities, etc. YouTube is our favorite place to provide followers with access to all those video’s. We also like to use YouTube to play video’s that further causes we believe in, such as environmental, fair trade and natural ingredients. It doesn’t have to be about us to get on our YouTube site. YouTube is another outlet to build on our brand and let our followers and enthusiasts know what other people think of us and what we stand for. You may have thought it odd that we also included Yelp, Trip Advisor and Google + to the list of social networks. You can add to that list Urban Spoon, Local Eats, Open Table and Food Spotting. Although we don’t post to these sites, per se, we do make sure we are listed, picts and all, for all to see. We know… we’ve heard from many restauranteurs that they have a love/hate affair with these types of services because, as one of my chef friends stated, “It’s only a matter of time before you piss someone off and they’re always the one’s that post. The one’s that love you never post.” That may be true in some cases, but we find that if you really take care of your guests they’ll take care of you and let the world know. Yes we’ll get an occasional post (usually about why we don’t have cokes, sweet and low, etc. (because they are chemicals or have chemicals in them) or that we are not speedy like The Waffle House (because we make everything from scratch) but in most cases, we get wonderful reviews that assure us that we are taking care of our family of enthusiasts. If you want them to find you, you MUST be on these sites. There isn’t a day that goes by that we don’t meet and greet a new guest from one of these sites. If you’re comfortable enough with your offerings and service to let others speak about your offerings, these sites are the place to be. You’ll notice, that we did not mention advertising on any of these sites. Yes our web site is created to sell cakes and bistro offerings but even there, we provide a place to make your order but never try to oversell the product. Instead we describe what and how we create and let the visitors imagination carry them to the ordering page. Why no advertising? Because it is our belief that you should never blatantly advertise on social media sites. Yes, on Facebook, we talk about our cake of the month (we create an unusual flavor each month and make it available for only that month) and we do talk about upcoming events, but we do this in an informational format, NEVER as an advertisement. On YouTube we are content to let others talk about us. We have found (and hundreds of studies have shown) that the quickest way to turn off (and quickly lose) a visitor, is to advertise to them. So why be involved in social media if it doesn’t generate $$$$$? Simple. First of all, it does generate $$$$, just not in the traditional sense. As mentioned sites such as Yelp, Trip Advisor, Google +, Urban Spoon, Local Eats, Open Table and Food Spotting generate business for us every day. Although we can’t always see it, people who read posts on Facebook, Twitter, see pictures on Pinterest and videos on YouTube, get to know us and reach a comfort level that allows them to try what we have to offer. Can we see it? Usually not directly, but we know it’s there. Why? Because we do no formal advertising. That’s right… NADA!! 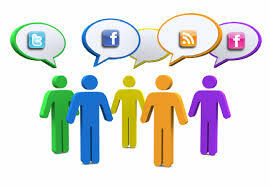 All our business is generated from word of mouth, a good part of which comes from social media. So don’t let anyone tell you that it’s not worth the time to join your clientele on the social networks, just do it the right way and you’ll be rewarded handsomely for the effort.